Enjoy the New Year Hunts with Happy Hunting! Now you can enjoy the new episode of Happy Hunting! 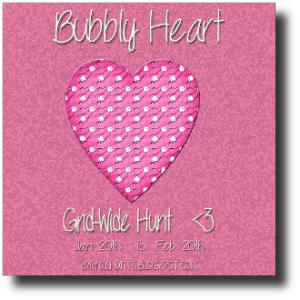 with Cinders Vale and Rosamoo Mendelsohn and an interview with Chimo Ruby who will be talking about her new hunt for Valentine’s – the Bubbly Heart Gridwide Hunt! Rosamoo Mendelsohn of Hunt SL, our hunt reporter, rezzed a house full of hunt goodies for you to enjoy – and the house itself was a hunt item! She will be sharing all the latest hunt news with our host Cinders Vale, and some examples of the wonderful items she’s found. And there’ll be news of upcoming hunts too. And you can find the details of all the hunts discussed right here. Then Cinders will be talking to Chimo Ruby about the hunts Chimo organises – including her new hunt – The Bubbly Heart. It’s a great show packed with exciting gifts you can find across the grid – so don’t miss it! Previous Post: Do you have Valentine’s News for Us?